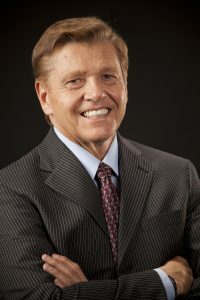 Dr. William D. Horton, Psy.D, CADC, CI, MH, is considered by many to be the world’s Leading Neuro-Linguistic Programming (NLP) Trainer and is a Licensed Psychologist, Certified Alcohol and Drug Counselor, and Master Hypnotist. Dr. Horton used NLP and Hypnosis to overcome alcohol addiction. He is the founder of NFNLP, the National Federation of NeuroLinguistic Programming and the creator of several best selling home study courses on NLP and Hypnosis. Learn more about Will here and be sure to watch Friday April 20th. Listen free to the interview for 48 hours or purchase as part of the Radical Recovery Summit package. Events are shown in Pacific Time (PT). Check the details for other time zones such as Eastern Time (ET), GMT (UK time), Central European Time (CET) or go to http://www.worldtimebuddy.com/ or https://www.timeanddate.com/ to check out the equivalent time for your own location.